The EU Commission 2017 report1 reviewed WEEE Systems and Compliance Schemes across Europe. As part of this exercise WEEE Ireland was chosen as a case study example for small country transposition of the WEEE Directive. WEEE Ireland, as the largest WEEE Scheme in Ireland, was proud to present at the final event in Brussels outlining the importance of mandatory handover from collection points, retailer take back, WEEELABEX standard recycling and visible fee financing models. In Ireland retailers must take back WEEE on a ‘like for like’ basis on purchase of a new appliance or device by customers including on delivery. For batteries, householders can bring back waste batteries similar to those supplied in store without any purchase requirements. All takeback is free of charge to the customer. Since 2014, an agreement with the electrical retail sector has seen dramatic increases in WEEE retail take back volumes as the ‘We’ll take it Back’ campaign advertised free takeback without purchase in participating stores. This campaign is supported by WEEE Ireland and the vEMC finance model. WEEE Ireland dedicated a full-time Operations Executive to work with individual retail stores to ensure that separation, segregation and quality management of WEEE material is undertaken on site. Ireland collects more WEEE from retail collection points than any other Scheme in Europe when compared to other collection channels. Support of retailer collection points was a priority for WEEE Ireland operations in 2017. NEW: In 2017 WEEE Ireland finalised development of the new Licences.ie Retailer Registration portal, to support easier certification for retailers who supply EEE, industrial and automotive batteries onto the Irish market. 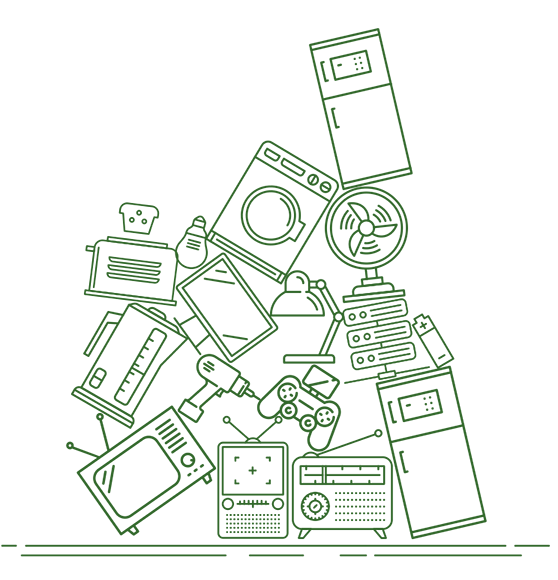 Licences.ie, is a Government service for online applications and payments, operated by An Post and, as it is available to government departments, agencies and regulatory bodies under a Services Framework Agreement. By 31 December 2017, a total of 7382 Retailers had registered with WEEE Ireland for certification under the Free Retailer Registration programme, enabling exemptions from other waste authorisations normally required for waste collection activity. Recruitment of householders to join the recycling movement is central to increasing the take back of WEEE and achieving the national targets as determined by the EU WEEE Directive. Knowledge Gap: Market research indicated a gap in householders’ awareness of the many recycling points available to them. Pivotal to our communications to counter this is the development of an online map, pinning drop-off points nationwide.  This site is now the linchpin for WEEE Ireland householder awareness campaigns. 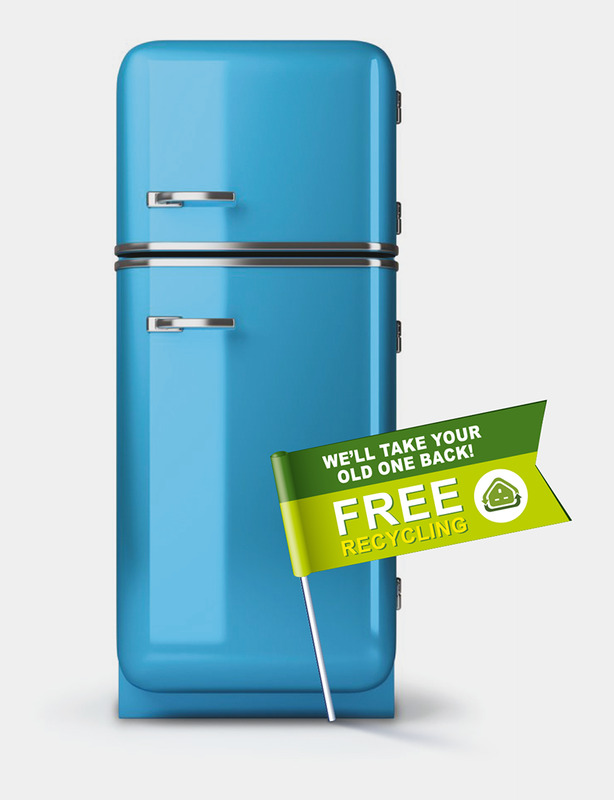 For the third year in succession, there has been an increase in WEEE take back via retail collection points. This includes the network of 190+ retailers participating in the ‘We’ll Take it Back’ programme. Those retailers exceed their compliance obligations by taking back WEEE without purchase has proven its ability to impact on WEEE collection rates. Together we can make a difference. Producers have redesigned lighting equipment into more energy effcient cleaner LED technologies in the past decades. Recycling of older compact fluorescent lamps (CFL bulbs) ensures safe management of the small amounts of waste mercury contained within. WEEE Ireland members including Philips Lighting Ireland, Urbanvolt and Rayal pioneer new Light as a Service (LaaS) models for supply of lighting onto the Irish marketplace. 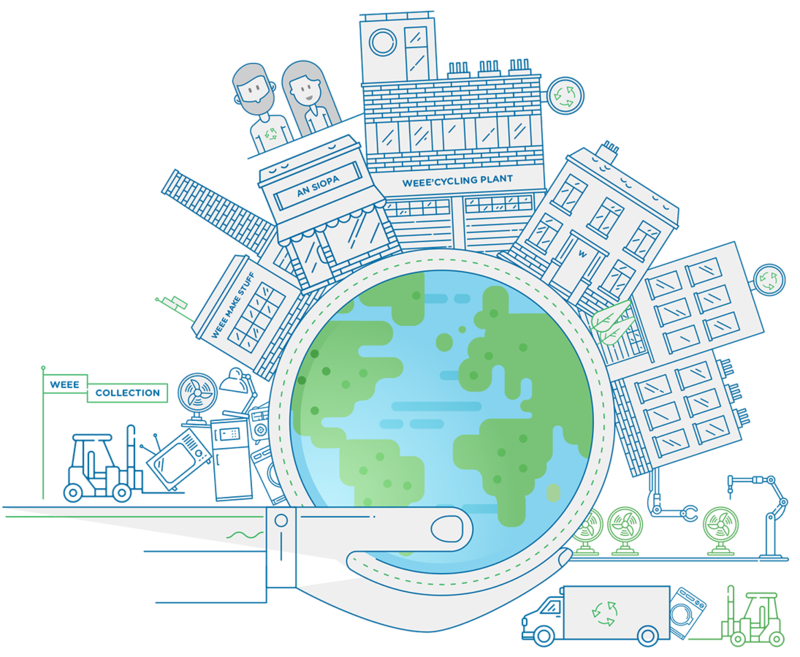 WEEE Ireland has developed a system supported throughout the supply chain for return of waste lighting equipment to wholesalers and distributors. In addition, direct collection services are provided to larger refurbishment sites with bespoke Litebox and CFL Box containers available on request. 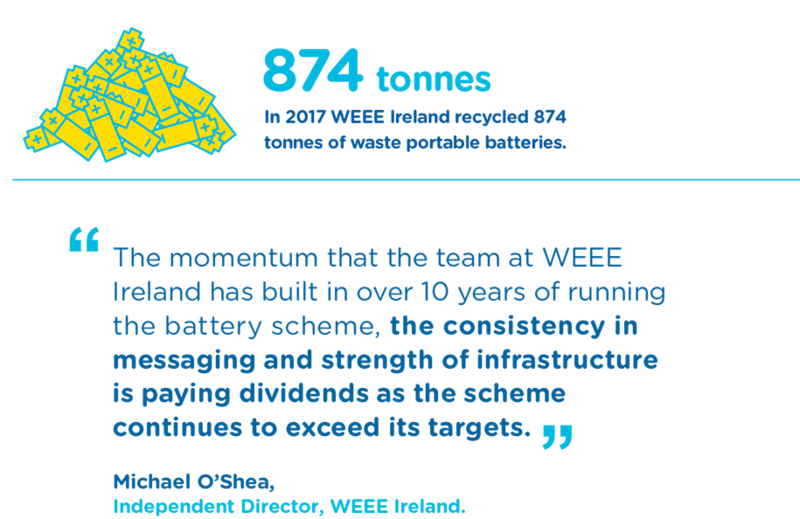 In 2017, WEEE Ireland powered through to recycle 874 tonnes of waste batteries. 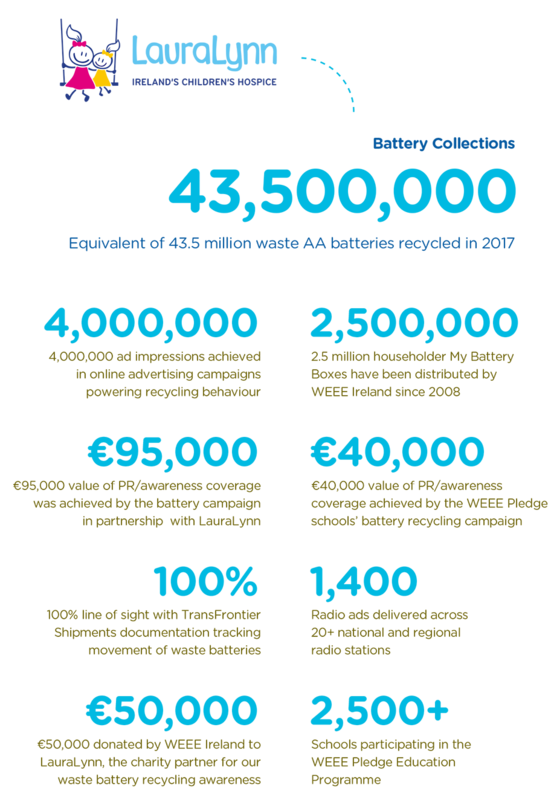 This is an achievement reflective of WEEE Ireland’s work over the past 10 years to achieve the waste battery recycling targets of 45%. 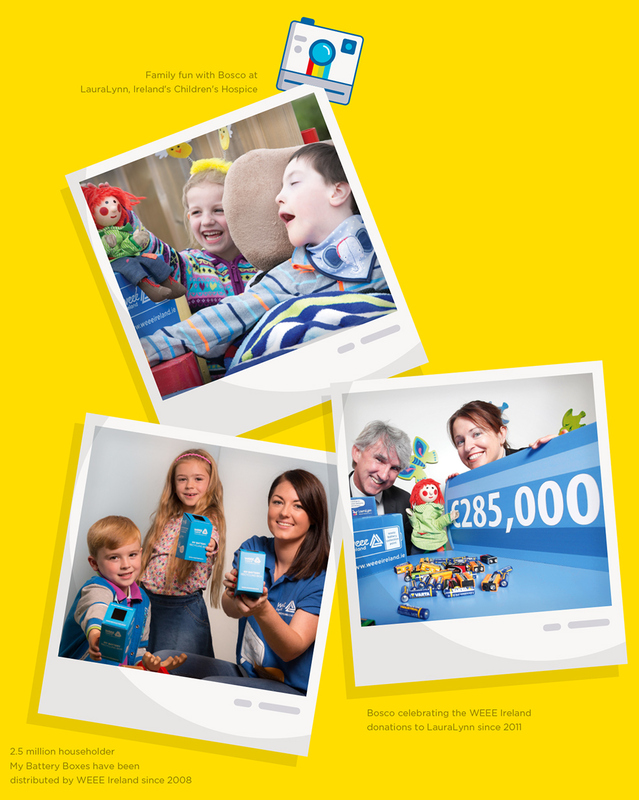 Year on year, our dedicated collections team, consistently strong awareness campaigns and an excellent network of collection points are brought together to deliver WEEE Ireland’s success story. Through 2017 WEEE Ireland called on householders to re-charge their recycling habits by bringing waste batteries to their local shop. 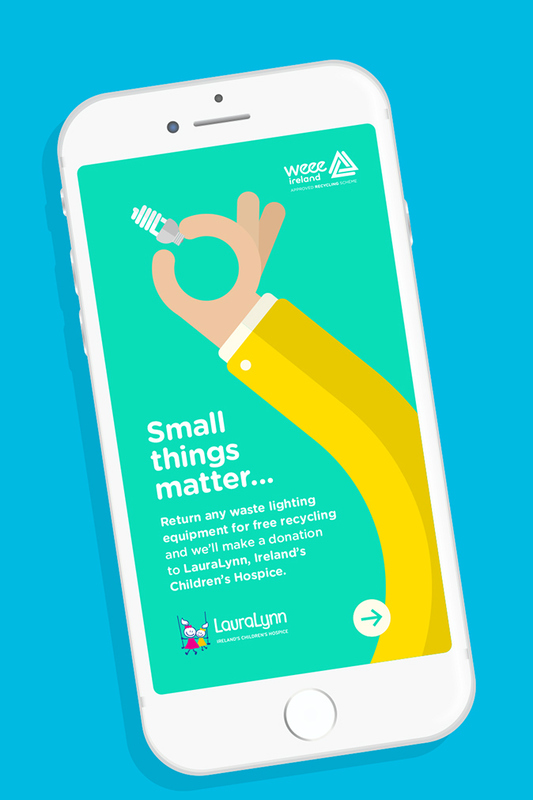 The continued partnership with Lauralynn, Ireland’s Children’s Hospice, has proven to be a strong motivator for the people of Ireland to recycle. With Ireland’s favourite red-head, Bosco, delivering some of the messaging, the campaign has delivered excellent ‘cut-through’ in the media. Minister Denis Naughten supported the WEEE Ireland call to householders, schools and businesses to play their part by recycling – also celebrating the 4th European Battery Recycling Day. What do WEEE need to work on? Registered preparation for reuse operators in Ireland can access WEEE free of charge from designated Scheme hubs to support their work in this area. The current concerns over GDPR across organisations provides additional opportunities to encourage businesses to manage waste IT and data bearing devices in an environmentally responsible way within the authorised system. Recycle IT is the only Community Electronic Recycling Social Enterprise in Dublin, Kildare and Wicklow providing a neighbourhood, community and business collection service for all WEEE, in partnership with WEEE Ireland and with the cooperation of South Dublin County Council. Recycle IT started as Clondalkin Community Recycling Initiative in 2002 with a collection service added in 2007. On average each year they offer kerbside e-waste collection services to approx. 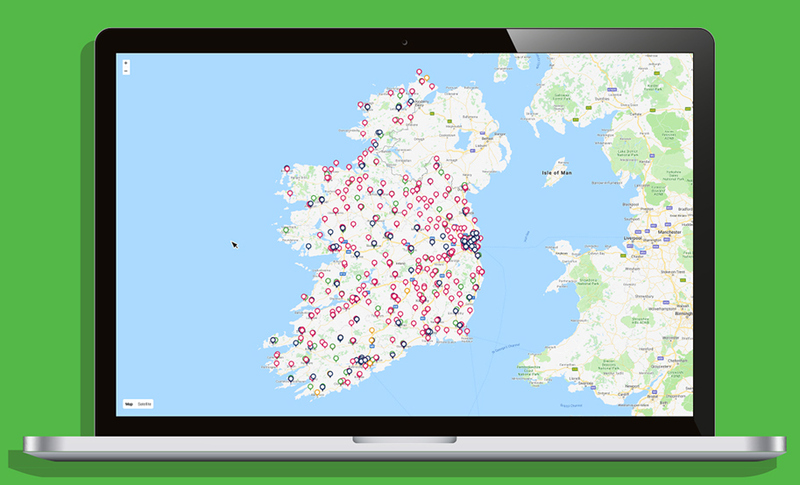 100,000 homes and organisations in the greater Dublin area. Income generated by recycling services is reinvested in training and employment, supporting local people re-entering the workforce and helping them gain new skills in the environmental and waste management sector. Recycle IT place an emphasis on individual needs and environmental awareness in all of their activities.  Their collection teams are experienced and happy to support people requiring additional assistance with lifting or moving electronic items. They are also award winning organisation. 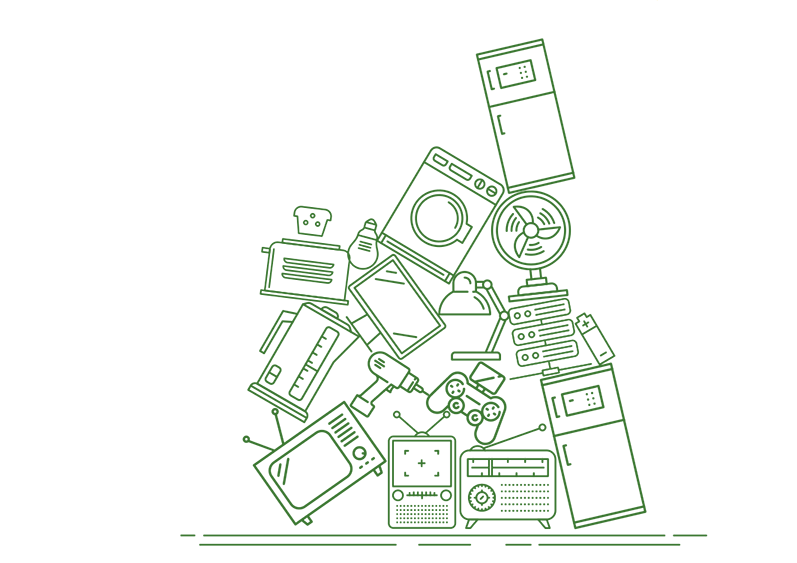 In 2017 Recycle IT were awarded Pakman “Community Recycling Project of the Year” as well as the Pakman Award for Environmental Education and Awareness Initiatives in 2016. Recycle IT have also been highly commended for their work supporting community recycling initiatives across Dublin in the 2017 Chambers Ireland Corporate Social Responsibility Awards. In 2016 they were named Eco-Friendly Business of the Year by JCI Ireland at both regional and national levels. 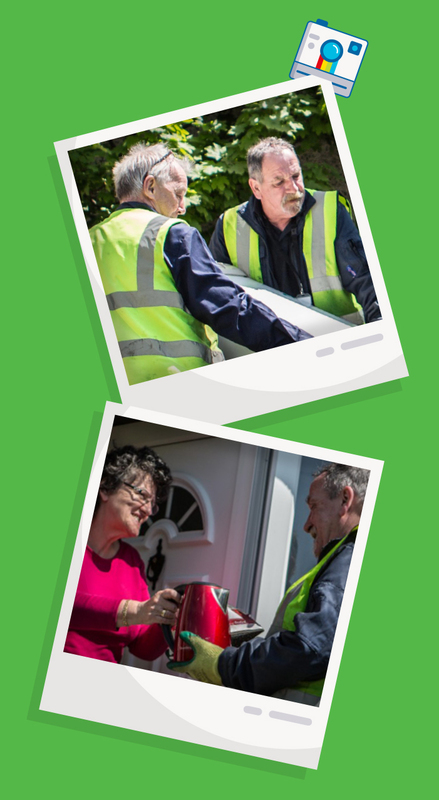 The organisation was also shortlisted for the Age Friendly award by Age Friendly Ireland in 2016 in their work to support older people gaining access to recycling services in the community. 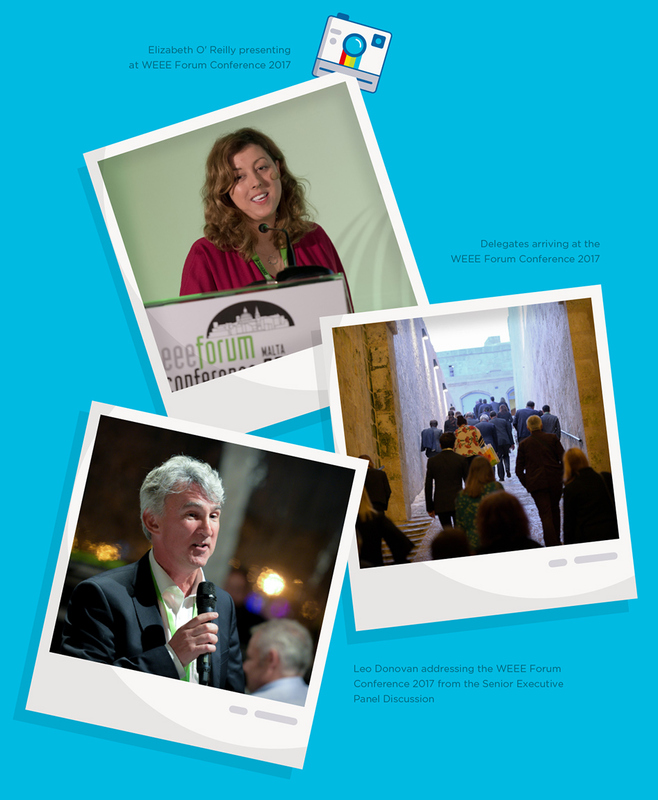 WEEE Ireland has supported the work of Recycle IT since 2006.